There is an adage that says “for every complex problem there is a simple answer…and it is wrong.”This instructive caution, however, appears lost on most politicians and economists. Since the great recession of 2009 and a subsequent less-than-stellar recovery, multiple grand fixes have been trotted out, from bailouts, to quantitative easing, to persistently low interest rates. Massive infrastructure investment now appears to be the next best hope to stimulate better long term growth. Both the previous and current federal governments have earmarked $125 billion over the next decade, to be augmented by similar investments from provinces and municipalities. Three distinct rationales support major infrastructure investment. First is the $141 billion “infrastructure deficit,” those existing assets that the 2016 Canadian Infrastructure Report Card estimates are in poor or very poor condition. An additional $247 billion of legacy infrastructure is in only “fair” condition. Combined, 34 per cent of Canada’ s existing $1.1 trillion infrastructure requires immediate attention. Left unfunded, for example, such Canadian staples as the quality of potable water will simply decline. Even worse, under current practices this deficit will grow to 80 per cent in just 20 years. Second, infrastructure investment will influence future economic performance in both the short and long term. In the short term, given current low and episodic growth each dollar of infrastructure investment adds $1.50 to the economy’ s immediate growth. Over the longer term, improved and expanded infrastructure will stimulate economic efficiency, smooth the movement toward the new knowledge economy and support sustainable growth in the face of the negative economic effects of climate change. To help this restructuring of the economy, in April the federal government announced a $2 billion investment in research and innovation infrastructure at colleges and universities. Investments in Smart City infrastructure will both improve productivity in our increasingly city-based economies while reducing public service delivery costs. In March 2008, Vancouver’s TransLink launched a real estate division to develop property as a way to generate funds for transit. 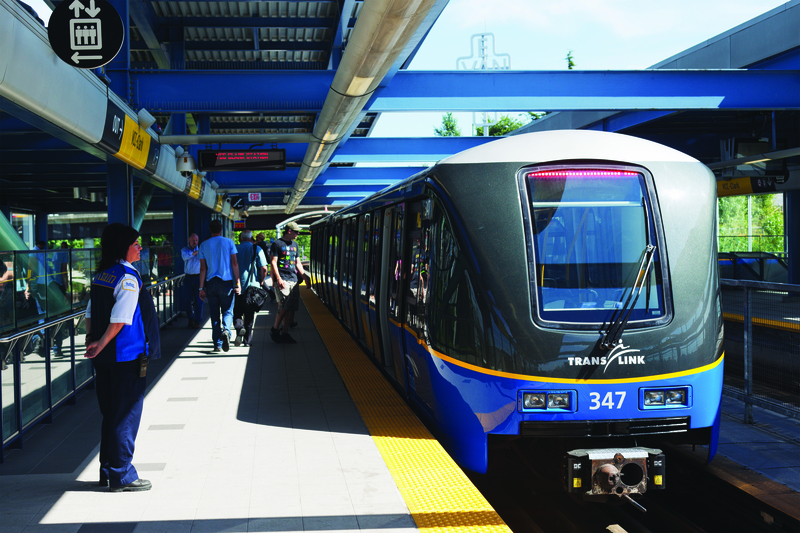 Under the plan, TransLink will purchase land along new transit routes and around stations and increase the value through intensification of land use zoning and partnerships with developers to create high-density commercial and residential developments. It is interesting to note that after the opening of SkyTrain in 1985, developers zoned in on the areas around the stations, building 7,870 houses within a 500-metre radius of stations between 1986 and 1996, as well as various commercial towers. The uplift in value was not realized at that time but TransLink is now planning four transit villages to augment existing hubs creating compact, mixed-use communities around the transit stations. Finally, there are social returns that can extend beyond simply additional hockey rinks, parks, libraries and community centres. While these are important, responding creatively to ameliorate negatives including road congestion, pollution and frustrating transit commutes while supporting positives like healthy cities will improve public wellbeing, reduce spiralling health costs and, not incidentally, further contribute to workforce efficiency. With or without a thorough inventory, there is also the issue of prioritizing initiatives according to timing, need, efficacy, affordability and potential for producing desired results. University of Toronto associate professor Matti Siemiatycki of the department of geography and planning, argues for the creation of a “centre of excellence” fully independent from Infrastructure Canada and tasked with using evidence-based assessments to rank and recommend to the federal government projects involving $100 million or more funding. In his report, titled Implementing a Canadian Infrastructure Investment Agency (CIIA), Siemiatycki also raises the possibility of even capitalizing the CIIA as an “independent infrastructure bank facility.” Capitalization could be achieved by assigning a portion of revenues from profit-making federal infrastructure assets and/or privatizing profitable federal infrastructure assets with the one-time revenues being loaned out for new projects through the CIIA. Importantly, he adds, “one clear prerequisite is that all revenues are invested by the CIIA in top priority projects that will drive economic productivity, competitiveness and social equity returns.” The CIIA would be a bank offering loans using historically low interest rates rather grants, which differs from the Liberal government’ s asset “recycling” funding floated last June. A Canadian Infrastructure Bank (CIB) was part of the Liberal’ s 2015 election platform and in March of this year the government recruited an investment banker to provide advice on its creation. But would such a bank provide significant financial savings? The answer, according to a second February 2016 study carried out by Siemiatycki, concludes “somewhat.” He first points out that all Canadian governments have relatively strong credit ratings and second, bluntly put, the world is awash with a huge capital pool seeking secure investment opportunities. By his calculation, direct loans from a CIB to municipalities “may be offered at or near the federal government-borrowing rate, and thus provide borrowing cost savings in and around 125 basis points for large municipalities and provinces and considerably more for smaller municipalities and provinces.” In terms of smaller entities, however, he notes that already seven out of 10 provinces have their own similar agencies with interest rates dependent on the credit rating of the parent provincial government. Notably, a survey conducted with Royal Institution of Chartered Surveyors (RICS) members this spring and co-sponsored by Building found almost 48 per cent of respondents believed a CIB represented no advantage or would make things worse while 26 per cent saw only a little advantage. In the end, Siemiatycki says, such a bank should deal only with projects costing over $10 million and should be part of a broader agency as outlined in his other study. Paying for both the required capital investment and subsequent additional operating costs is the crucial question. Canada’s debt to GDP ratio may be relatively healthy and could even absorb significant deficits without increasing that ratio, a fact implicit in the Liberal Government’ s approach. Still, increasing debt remains a very emotive political issue along with any idea of increasing general taxes and fees to pay for investment. Significantly, this is a large part of the current infrastructure deficit problem as many municipalities chose either to forgo needed investments or to dip into reserves. Asset sales such as municipal utilities to raise capital (a favourite of conservative economists) are one source. Dachis also suggests a move to accrual accounting by municipalities where “capital expenditures” are spread out over an infrastructure’ s useful life span, rather than current spending cash accounting based on one-time payment, would provide a more realistic – and less negative – picture of debt and revenues. As with good business investment decisions, rigorous cost-benefit analysis would demonstrate both direct incomes (such as road taxes or transit fees) as well as economic performance returns generated by removing or reducing current costs such as transportation congestion. He could also include the return from significantly improved performance and lower operating costs stemming from Smart City investments such as programmable LED street lighting. But given such priorities as transit and affordable housing, we can assume there will remain a significant shortfall. When coupled with a reluctance to increase debt (at least sufficient to remove the deficit and stay out in front) or raise taxes, the question remains, who pays and how? Certainly, some public infrastructure investment and subsequent operating costs can be indirectly funded (paid for) by the tax increment generated by improved economic/health performance. Additionally, the privatization of functions (with subsequent private investment), monetization of assets, implementation of user fees such as toll roads, direct cost recovery levies and even tax increments or fees on specific services such as water and sewer are other tools. But one key underutilized tool that is centuries old, rooted in classic economic theory, much discussed in academic papers and even practiced in polyglot forms around the world is land value capture (LVC). LVC starts with the concept of economic rent or land value uplift (LVU) defined as a return on land and property that is in excess of what would have been the return except for some unique factor. LVU is thus that part of any increased value generated at no effort, cost or risk to the owner. While the factor generating this uplift may be population or economic growth, in terms of infrastructure we are interested in the value created by either public investment or public changes in land use regulations. The value capture rationale and its relationship to funding infrastructure, however, are different between these two public actions. 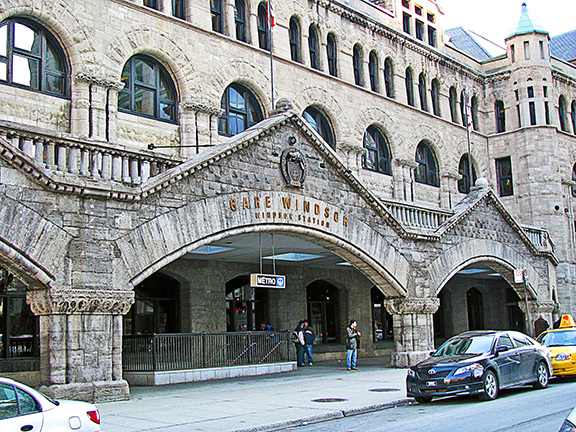 In the former, the value increment is increased by an actual public investment, such as building a transit station; in the latter, the value is created through a public planning decision such as increased density or permitted use with any value subsequently captured used to fund potentially unrelated infrastructure such as affordable housing. There is remarkably broad consensus that the public has a right to capture some or all of this “unearned income.” But again, when considering how to determine the value created as well as how to capture this value, the devil is in the details. Debate often surrounds which strategies actually constitute LVC. For example, is requiring a developer to pay new infrastructure’ s full cost when it is a necessity a cost recovery or LVC? In an interview, Adam Found, author of the CD Howe Institute’ s report Tapping the Land: Tax Increment Financing of Infrastructure, says such direct recovery is irrespective of land value. For example, in the 1990s the Ottawa Senators paid $25 million for a new freeway interchange in order to build their arena. Additionally, residential developers, particularly in Ontario, must pay development charges to cover new infrastructure costs. These costs plus the LVC are passed on to the purchaser which means little value uplift accrues to the public. So while the Senators’ may have paid more than the actual land value uplift, they could not have proceeded without it. Ironically, the real winner(s) may have been owners of land on the interchange’ s north side, now developed with car dependent big box complexes. This debate, however, is perhaps moot. Full infrastructure cost recovery remains a key tool, especially where development such as a private arena is discretionary or where development is neutral or even negative in terms of a city’s planning goals. In many municipalities, higher rather than lower development charges to provide new communities with infrastructure like libraries or community centres may be required. The issue will be how to ensure any LVU component will be better shared. The basic concept is simple. Properties near new transit stations (usually within one kilometer) experience uplift in value because of better access, a proposition supported by a wealth of research. However, some such as Higgins (Forty Years of Modelling Rapid Transit’s Land Uplift in North America: Moving Beyond the Tip of the Iceberg), Christopher and Ted Hewitt (The effect of Proximity to Urban Rail on Housing Prices in Ottawa) and KPMG’s Stephen Beatty in an interview caution that results may vary – and even be negative – depending on the specific circumstances of individual properties. Irrespective of this caveat, transit LVU has been identified as being 10 to 50 per cent. The authors of Ottawa’s 2011 CPCS Economic Impact Assessment Review for its under-construction LRT predicted an average uplift of 18.2 per cent. But, as John Moser, Ottawa’ s Manager of Planning, Infrastructure and Economic Development says, there is no specific LVC mechanisms in place, including for the two stations serving the $3.4-million LeBreton Flats development. The reason, he says, is that unlike Alberta and Manitoba, the Ontario government has yet to approve regulations to permit application of its 2006 Tax Increment Financing Act (TIF), considered by many as a key LVC mechanism and used extensively in the United States. But is it really a LVC? Currently a high priority for the Liberal government, a Canadian Infrastructure Bank (CIB) would be a federally established but independent funding institution to provide loans or other credit enhancement services to provinces and municipalities to invest in priority infrastructure projects. These loans/services would not replace federal grant contributions to a project but help finance the provinces’/municipalities’ share. In Q2 2016, Building partnered with the Royal Institution of Chartered Surveyors (RICS) to conduct a survey among its membership, asking their opinions on the efficacy of a CIB, should the government pursue one. The premise of the TIF mechanism holds that public infrastructure investment results when new development produces an “incremental” increase in total value, and therefore property taxes paid in a special assessment district (SAD). Most proponents advocate no extra rate be added to the existing property tax rate within the TIF-designated district; instead, the current tax level is frozen and all subsequent incremental tax revenues from within the district are applied against the cost of the infrastructure for a set period. In other words, TIF is more a “cost benefit”justification for legitimizing upfront government money in a hostile environment. The problem, of course, is if the cost of standard public services increases with more intense development, a public revenue shortfall emerges which must be met with fewer services, or a diversion of resources from other municipal areas. Indeed, Ontario’ s reluctance to approve regulations may come from the potential impact on school funding, also an issue in Manitoba. As Rick Rybeck has written, TIF is a “revenue segregation” technique “that diminishes the general fund.” It may include, in part, some LVC to the extent an increased reassessment value includes an LVU component, and particularly if the impact affects an already fully-developed area coupled with solid amended value reassessment. The percentage of the LVC collected, however, will be limited to the marginal tax rate. To ensure clear LVC, others argue, a supplemental tax component is required within the SAD. But another major problem of using TIF is its problematic assumption, as Rybeck documents in his 2004 article Using Value to Finance Infrastructure and Encourage Compact Development, that appropriate development will take place. Instead, the impact is often the opposite. Typically, WikiTransit reports, “In split-roll taxation, land is taxed using a separate (and often higher) rate than improvements. Such a tax structure creates market incentives to maximize a property’ s use … especially when assessments of land value are based on the highest-and-best use, which captures value from an increase in accessibility (due to the transit line) and an increase in potential activity (due to zoning/density).” Although not widely used in North America, Harrisburg Pennsylvania uses split-roll taxes with land valued at six times more than building values. The result has been a remarkable 20 year urban turnaround. London’ s Jubilee Line extension is often cited as a successful LVC model because about 10 per cent of its costs were recaptured, mostly through private contributions for the Canary Wharf station. But in his book Taken for a Ride, developer and South London landowner Don Riley laid out how he accrued huge value uplift returns because of the extension. Instead of gloating, he argues that at least part of this wealth should have gone to the public. In the 1960s and ‘70s, Higgins reports, the Toronto Transit Commission purchased land east of Young Street to permit trenching for the new subway and subsequently leased land to private sector developers to help pay costs. Oddly, in its study, Metrrolinx never references this approach despite being studied around the world. Perhaps most cited is Hong Kong’s Mass Transit Railway Company that funds all its capital and operating costs through land development. Having missed out on the original property uplift around Sky Train station, Vancouver’s Translink created a real estate division in 2008 to develop its lands as TOD communities as well as undertaking land banking purchases still 10 years away from development. In these cases, LVU is captured directly through public ownership of the land and its development, either independently or in joint venture/leasing agreements with the private sector. Air right transfers involving selling/leasing rights to developers to permit increased height on neighbouring properties or to develop directly above a station is an alternative mechanism. Government as developer may rankle many conservative economists, developers and politicians, but it is an increasingly popular means of both paying for infrastructure and controlling the type of growth in the city. Calgary used a TIF approach through Alberta’ s Community Revitalization Levy to fund $350 million of infrastructure that will generate more than double that in incremental tax revue. While this is subject to the TIF’ s LVC limitations, because the city-owned Calgary Municipal Land Corporation (CMLC) owns most of the land, it should be able to appropriate the LVU when it sells the land to developers. A bonus: all development must reflect CMLC’ s strict urban design plan. The Mayor of Toronto is lobbying the federal government for infrastructure funds to continue the rapid development of that city’ s Port Lands. But again, with the city as the major land owner through its Toronto Port Lands Company, the city itself is in an excellent position to capture increased land values to support investment as it pursues development. Negotiated exaction and Special Levies usually involve, like TIF, establishing a SAD and either negotiating or requiring a contribution from those within the district. Negotiated extraction better permits a case-by-case assessment rather than a set fee for all properties. This allows for contributions more closely tailored to the benefit received, such as being connected directly to a transit station rather than 750 metres away. The most-oft cited example is London’ s massive Cross Town Rail project were its value uplift of largely developed land is estimated at £5.5 to £12 billion. Both negotiated extractions and incremental fees have been used to capture value uplift. Beyond development charges, the LVU of other infrastructure investments such as improved water and sewer, green upgrades, public art or expanded parks may be considerably less tangible or, with affordable housing, neutral. On the other hand, simple changes in government land use regulations, particularly greater density or increased height, often result in significant uncaptured LVU. Under the Liberals, over $9 billion in infrastructure money has flowed from the coffers. Yet despite decades of reports, research and conferences as well as significant successes in other countries, governments lack a long term, well-structured approach to land value capture as a tool to finance this investment. Like infrastructure investment itself, LVC is not a simple answer to the complex capital funding problem; but we need to do better and move very quickly.